Explaining Brazil #55: After 1 year in jail, what will become of Lula? This episode, After 1 year in jail, what will become of Lula, is supported by Fast Help. Fast Help is a Brasília-based IT company that is focused on cybersecurity. Protect your business by teaming up with Fast Help. Go to fasthelp.com.br for more information on how to protect your company’s virtual space. After a year in jail, how does Lula still fit into the Brazilian political landscape? What does the future hold for him, or his Workers’ Party—and for the Brazilian left? Michael Mohallem is a law professor and coordinator of the Center for Justice and Society at Fundação Getúlio Vargas Rio de Janeiro Law School. He also served as director of Avaaz in Brazil. Celso de Rocha Barros is a political scientist with a Ph.D. in sociology from Oxford University. He writes on Folha de S.Paulo on Mondays. Lula’s story is filled with unbelievable moments, both positive and negative. We’ve compiled some of the main events during the career of Brazil’s most popular politician in recent memory. In February, Lula was convicted in another corruption. It was a different case — and a different judge — but the verdict was pretty much the same: a 12-year sentence. The Workers’ Party was founded 38 years ago, supported by many intellectuals and members of the middle-class. Since then, Lula has been the sun around which the party has turned. The party has struggled to adapt to life without Lula. 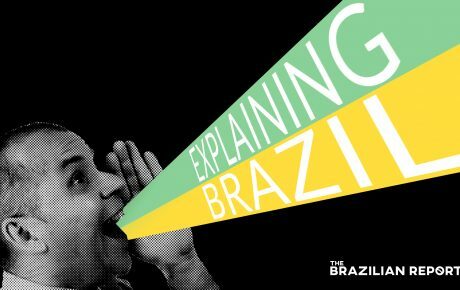 Explaining Brazil #25: What has happened to the Brazilian left?